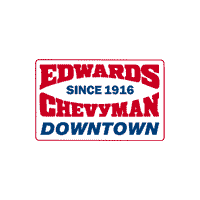 The convenient Edwards Chevrolet Downtown Service Department in Birmingham, AL uses only Genuine GM and ACDelco Parts covered by a 24-month/unlimited-mile limited warranty. The warranty covers all costs from manufacture defects in materials or quality. Beyond Genuine GM parts, our Service Department is staffed with factory-trained, certified technicians. We offer speedy service, the best available prices, honest dealing, and money-saving specials. Let our Service Department be your exclusive resource for quality car care that will keep your Chevy running like new. Professional Service: Our technicians are factory trained and have earned professional certifications. Our service is done fast, done right and priced right. State of the art facilities: Our Service Department has the latest diagnostic and repair gear. The waiting room is pleasant and comfortable. Top-quality parts and accessories: Genuine GM parts are guaranteed to operate just like the originals. Visit our well-stocked Parts Department or order parts from us online. Online Schedule: You can schedule a service appointment on our website. Specials: We provide many special deals on service, parts and tires. Check our website for the latest deals.